Greetings, imperialist provocateurs! From safe within its doomsday bunker, the Ministry Of Culture issues its latest emergency bulletin: Cold War Week, The A.V. 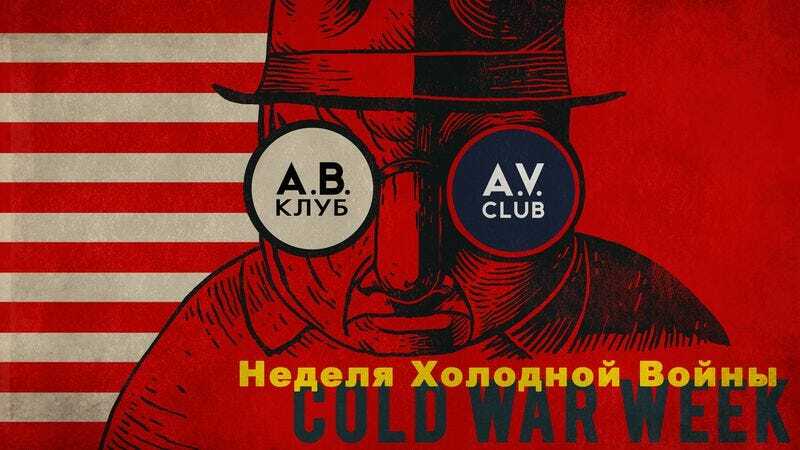 Club’s eclectic, week-long exploration of the half-century standoff of ideology and misinformation that separated East from West, gave us Rocky IV, and generally messed up the planet through a complex web of proxy wars and CIA-backed coups d’état. This year is the 25th anniversary of the Soviet Union’s collapse and the end of the Cold War, and we’re excited to sift through the pop culture relics of the era, beginning with Star Trek’s Cold War origins, a bizarre ’80s cartoon, and our very own pop culture timeline of the Cold War. Look for articles and posts through the week, as we’ll be tackling everything from Soviet soft drinks and Gerry Anderson shows to Cold War-themed board games and rock music’s obsession with nuclear annihilation. Stay alert! Know your enemy!